As natural backdrops change color from green to bright reds, yellows and oranges and a certain crispness can be felt in the air, many of us dream of heading to the most idyllic fall destinations. It is no secret that the New England area of the U.S. hosts one of the country’s most legendary fall backdrops. As a result, we are often venuelusting this time of year over historic inns, quaint farms, apple orchards and vineyards that open up their doors and natural landscapes for weddings, events, meetings and ordinary fall weekend getaways. If you merely want to get away this fall in serene New England or you are plotting a fall wedding, these venues will leave you dreaming of apple cider, cozy dates by the fireplaces and eye-popping foliage for your escape or event. Set on 300 acres of Vermont natural beauty, Twin Farms resides in Barnard, under an hour and a half from Burlington. Featuring 20 accommodations, each unique in its own way, the luxury resort includes everything in the room rate. From hearty Vermont breakfasts to romantic picnics, the property excludes that classic Vermont farm vibe. The site boasts 10 freestanding cottages complete with screened porches and stone fireplaces. Guests can use the on site spa, traditional Japanese style bath and fitness center. It comes as no surprise that many guests decide to host weddings and special events at Twin Farms. The property features several venue spaces from the Main House Dining Room, fit for up to 60 guests, to the more intimate Wine Cellar for 6 guests. The Lodge on site for up to 50 guests adorns in amber and wood accents. Other venue spots around the farm include the Farmhouse at Copper Hill Library, the Lakeside Cabana, the Pub, the Chalet Cottage and Ski Hill Patios and Lawns. Part of why we love Twin Farms for fall gatherings and getaways is its 300 acres to appreciate. You can hike around colorful Vermont fall foliage in between meetings for your corporate retreat or pre or post wedding festivities. Perched in the Green Mountains in the town of Richmond, West Monitor Barn ideally places in between Montpelier and Burlington. Many fall weddings and events in New England need a barn to complete the idyllic picture. West Monitor Barn answers with its classic red barn appearance. The quintessential Vermont wedding reception, rehearsal dinner or other celebration location was built in 1903. The barn was later reconstructed using 40% of the original timbers. Your wedding, meeting or anniversary celebration will benefit from West Monitor Barn’s unique and simple details, from carriage barn lamps to rough hewn lumber. All the proceeds go to funding Vermont Youth Conservation Corps programs. In addition to the barn, West Monitor Barn includes a 6 acre organic farm on site. Surrounding by forests, woodlands, hills, mountains and conserved fields, the New England venue provides that classic fall location to get out and enjoy nature. Meetings and events can range in size from as few as 5 guests to up to 200. Close to some of Vermont’s best ski slopes, Hewitt Hill Farm provides that pastoral fall setting for your wedding or event in New England. Set up in North Pomfret, the farm spans 100 acres of undeveloped land in Southern/Central Vermont. Consisting of a sweet old fashioned home, Hewitt Hill Farm was fully rebuilt in 2008, modernizing it for weekend events or small gatherings. The classic New England farm provides several different spaces for your fall gathering. The house itself can hold up to 28 guests, lending a more intimate feeling for your wedding or celebration. Under 3 hours from Boston, Reading Farms Estate occupies 400 acres near Woodstock, Vermont. It becomes a favorite in the fall thanks to its location in the heart of the Green Mountains. Held in the same family hands for 100 years, the private estate opens up for weddings and events. Secluded and gated, the property features classic architecture and rural landscapes, proving even more photo-worthy in the autumn. Reading Farms Estate even boasts a little bit of history. The main farmhouse was built in the late 18th century. Reading Farms Estate hosts corporate retreats, family reunions, artist retreats and any other events you can think of in an elegant rural setting. You can enjoy services like a personal chef on site and tents for your gathering. In the fall, Reading Farms Estate accommodates 30 guests for stays. The historic property tends to pop in the autumn thanks to its surrounding colorful trees. Settled into scenic Pittsfield, Riverside Farm also relishes in its Green Mountains location. Stretching for over 700 acres, fall weddings and other events can truly appreciate the fall foliage thanks to the extensive acreage. Up to 25 guests can be accommodated on the farm and over 80 guests can be set up at adjacent properties. For your wedding or event, you can take advantage of both indoor and outdoor settings. Riverside Farm features it all from a classic red barn to white barns and lodges for ceremonies and receptions. Chalk full of venues for your gatherings, Riverside Farm features three different properties, six barns and a working farm. 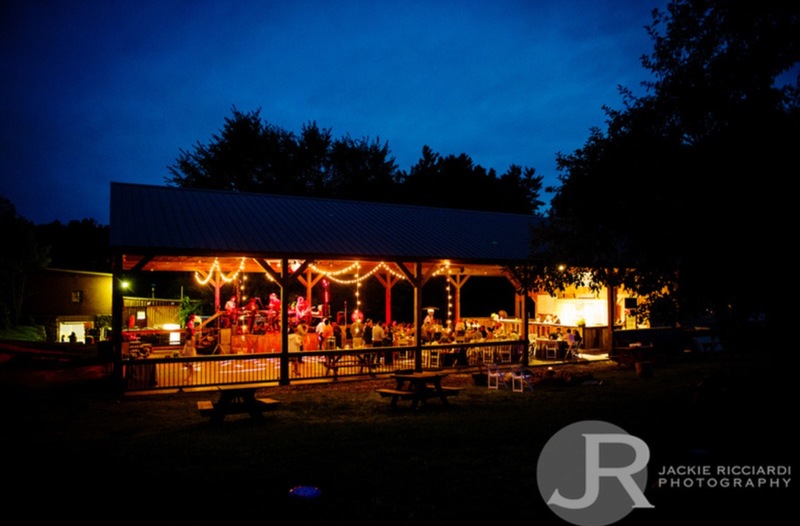 Despite having so many event spaces, Riverside Farm does place a limit on the number of weddings held each year in order to maintain that the farm and acreage stays pristine. Located in the city of Kennebunkport on the scenic Southern coast of Maine, Hidden Pond appears practically set up for fall getaways and gatherings. The resort places an emphasis on nature, luxury and privacy, outfitting with individual cottages scattered in between fir and birch trees. The 60 acres property also completes with an onsite café and bar for casual dining and drinking. Hidden Pond is home to Earth, one of Maine’s best eateries, serving up fresh local ingredients. It makes for a fine fall escape thanks to its abundance of nature trails you can explore, nightly bonfires for cozying up and stargazing sessions offered. Not only can you retreat to Hidden Pond for an autumnal getaway, but you can also host events on site. The luxury property also hosts corporate retreats up to 80 people and weddings. One of Hidden Pond’s venue spaces, the Event Barn, boasts an open ceiling and overlooks the pristine beech forest. You can have up to 80 wedding guests here or retreat to the Wedding Garden for larger affairs. Just 5 minutes by car from Kennebunk, White Barn Inn has stood as an icon in Maine for 150 years. Roughly 90 minutes from Boston and 45 minutes to Portland, the award winning hotel, restaurant and spa features 26 guestrooms. The rustic clapboard house adorns with antiques and rich fabrics, furthering the autumnal mood when September, October and November come around. Guests can enjoy gardens and flower-lined paths along with a celebrated restaurant on site. The White Barn Inn plays host to weddings, social events, conferences and corporate meetings. Corporate meetings occur at the Friendship Cottage, which can accommodate up to 30 people while the gardens frequently play host to small weddings and intimate gatherings. Dramatically perched on a hillside overlooking Moosehead Lake in Greenville, Blair Hill Inn identifies as a lake and mountain country hotel. Settled on 21 acres, the 10-guestroom mansion was once a gentleman’s estate and breeding farm. It has since been restored into a boutique hotel complete with a fitness center, exclusive spa, adventure activities and renowned gourmet restaurant featuring a farm to table menu. For fall gatherings, Blair Hill Inn’s natural surroundings provide perfect backdrops for wedding photos, especially with Moosehead Lake always peeking through the lens. The boutique hotel hosts both weddings and corporate retreats. You can have an intimate gathering of up for 45 guests in the inn itself or set up your soirée in a tent on the lawns of the property for up to 800 guests. Ideally positioned on the Connecticut shoreline, Saltwater Farm Vineyard finds a home in the town of Stonington. Producer of award winning wines, the vineyard has a bit of a unique setup. Tracing its agrarian roots back more than 350 years, Saltwater Farm Vineyard consists of coastal Connecticut farmland and a World War II era private airport. In fact, the vineyard’s Tasting Room sets up in the restored World War II era airplane hanger. While you can visit on a fall getaway and sip on award worthy wines, you can also host your autumn wedding on site. The Tasting Room proves ideal for weddings as it overlooks 15 acres of vineyards and the preserved 1,800-foot grass landing strip from the 1930s. You can snap wedding photos in the fall amidst the beautiful vines of the vineyard. Lord Thompson Manor perches in the northeastern corner of Connecticut in Thompson, roughly 20 minutes to the south of Worcester, Massachusetts. The country estate lands on a 40-acre property, filled with Frederick Law Olmstead designed grounds. Complete with 6 guest rooms for overnight stays, you can also feast on meals prepared by James Beard Foundation celebrated chefs. It is no secret that many have selected the manor for weddings and events in the fall thanks to its rolling hills and proximity to scenic byways for leaf peeping. Lord Thompson Manor can host it all, from small, intimate gatherings to large weddings. What sets the manor apart from other wedding venues is its emphasis on taking care of the entire wedding weekend. From the rehearsal dinner to arranging quiet walks for your guests, you don’t have lift a finger throughout your wedding weekend. Both indoor and outdoor ceremonies are possible, spanning settings from the manor building to the manicured lawns of the property. Thanks to Lord Thompson Manor’s extensive acreage, the area comes alive in the fall with colorful backdrops accented by the manor house. Located in Little Compton, Carolyn’s Sakonnet Vineyard conveniently rests just over 70 miles from Boston Logan Airport. As a premier Rhode Island winemaker for four decades, the vinery has developed a reputation for producing fine wines since 1975. Occupying 150 acres of land, 30 of which of vineyards, Carolyn’s Sakonnet Vineyard has branched out from winemaking to also host celebrations from engagement parties to corporate events to weddings. While only open for private events from April to October, you can host your early fall gathering here in a number of venue spaces, from the tasting room to the vineyards to the onsite barn. It is also possible to host a tented reception in the actual vineyard and meadow of the property. Nestled into the quintessential New England waterfront town of Bristol, Linden Place represents just one of the town’s historic landmarks. Entertainer of not one but 4 Presidents, Linden Place has made a name for itself since its beginnings in 1810. Featured in the film The Great Gatsby, the mansion offers guided and self-guided tours of its well-maintained vintage home. However, for a more inside look, you can also host your fall event at Linden Place. Settled on a tree lined street just one block from Bristol Harbor, the classic beauty lends a wealth of venue settings. You can host your wedding or events in the gardens, ballroom or mansion rooms. With both indoor and outdoor spaces available, Linden Place can accommodate up to 200 guests for your gathering. Thanks to the classic New England charm of Bristol, Linden Places comes alive in the fall, excluding a historic charm and taste of bygone days. In the most dramatic of fashions, the Ocean House in Rhode Island sets up on the bluffs of Watch Hill. Settled in the southwestern point of the state and roughly 2 hours by car from Boston, the iconic New England seaside resort might scream summer getaway or wedding on paper. However, the Ocean House actually excites in the autumn months too. Meticulously reconstructed to pay tribute to its past, the property first opened in 1868 just after the Civil War. Open year round, the Ocean House features 49 rooms and 18 signature suites. The Victorian hotel differs from others with its 13 acres of oceanfront landscape. Overlooking a 650-foot private white sand beach, you can host meetings, weddings and special events at the luxury property. Early fall weddings work well here with both indoor and outdoor settings available depending on how the weather cooperates. Most couples host their ceremonies on the South Lawn and retreat indoors to the Seaside Terrace and Ballroom for their reception. The Ocean House tends to be the perfect place to curl up by a crackling fire when that fall sea breeze blows. Quonquont Farm finds a home in the historic town of Whately, Massachusetts. The farm takes pride in being a pick your own orchard, where depending on what is in season, you can pick apples, blueberries and peaches. Quonquont Farm also sells locally made products like maple syrup and honey. The 140-acre farm and orchard makes for the perfect stop on a fall getaway with its orchards, several acres of hay meadows and hemlock and hickory woodlands. It even boasts a bit of history with the first building on the farm constructed in 1759. Not only can you visit for a classic fall apple picking session, but you can also host your wedding or special event in the property’s beautifully renovated 19th century barn. With 5,000 square feet with seating for up to 200, Quonquont Farm also provides catering for your event. While only available for weddings and events from May to October, there might be nothing better than an orchard venue for your early fall gathering or wedding. Located 2 miles from downtown Sturbridge in the cute and quaint village of Fiskdale, Hyland Orchard and Brewery resides in the heart of Massachusetts’ apple country. Owned and operated by the Damon family for 3 generations, the orchard boasts roots in 1945 by F. James Hyland. Not only does the property lend apple and peach picking from late August to October but it also has a 12,000 square foot state of the art brewery, operated by Rapscallion Brewery. 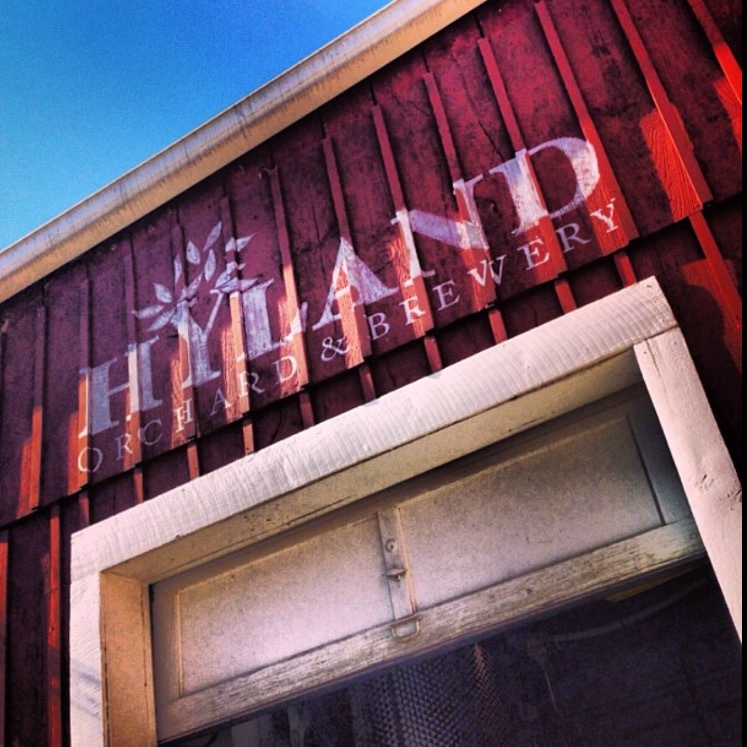 Hyland Orchard and Brewery makes for an enviable trip in the fall, thanks to its abundance of apples and farm setting on one of the highest elevations in Sturbridge. It also appeals to those seeking to host a fall event. Special events, weddings and celebrations often take place in the newly renovated and covered outdoor pavilion. Able to hold up to 150 guests, the space boasts a 30 foot long bar and fire pit. Ceremonies are often held on a hill just above the orchard. Fall weddings are possible at Hyland Orchard and Brewery in September and on Fridays in October. North of Salem in Beverly, Massachusetts, the Estate at Moraine Farm was originally designed in 1880. This Massachusetts venue sets up on 175 acres, most of which is conservation land and forest. As a result, in the fall, you can expect unaltered leaf peeping and views of Wenham Lake. The Estate at Moraine Farm has become an idyllic venue in the area for weddings and special events thanks to is spectacular setting. The farm tends to host smaller events, ceremonies, and cocktail hours inside the estate house. The Brick Patio space is also used for cocktail hours with its dramatic perch overlooking the lake. For larger weddings, the estate will set up a tented wedding for you and up to 250 of your guests. As a whole, the estate grounds offer several compelling ceremony locations, especially in the fall months. Settled into Ipswich, Massachusetts, the famous Crane Estate was set up by Chicago industrialist Richard T. Crane Jr. The land was first purchased in 1910 and Crane would later add his mansion, known as the Great House. The protected 165 acre National Historic Landmark nestles into the stunning landscape of Castle Hill. While it features several venues for weddings and events, we particularly swoon in the fall over the Barn on the Crane Estate. The historic Italian style barn tends to be a gorgeous setting for fall events with its warm terracotta walls, post and beam interiors and rich wood floors. The barn also provides views of salt march, tidal rivers, woodlands and the Atlantic Ocean on the horizon. The barn can host weddings and celebrations up to 120 people. In the heart of the White Mountains of New Hampshire, Mountain View Grand sprawls across 400 landscaped acres. With Boston just under 3 hours away and Burlington only 2 hours away, the grand hotel makes for a convenient location for weddings and events. Founded as a humble inn in 1865, the property would grow over the years. The hotel is home to 144 luxurious guestrooms and suites to rest up at as you leaf peep through the White Mountains of New Hampshire on your fall getaway. Mountain View Grand plays host to events and weddings throughout the year. From indoor and outdoor ceremonies to receptions and rehearsal dinners, the sky is the limit at the luxury hotel. With 20,000 square feet of indoor and outdoor space for meetings and events, you won’t be hard press to find a space to suit your occasion. In the peak fall foliage season, Mountain View Grand tends to be even more attractive with its mountains views sprinkled with red, orange and yellow leaves. Located right in New Hampshire’s heart, Timber Hill Farm perches on a hillside overlooking Lake Winnipesaukee. The small, diverse family farm gives a whole new meaning to laying down roots. The land here has been continuously farmed since the 1700s. As a genuine farm to table event venue, you and your guests are treated to seasonal faire directly from the farm. In order to maintain its purity, the farmland is also protected by conservation easement. Timber Hill Farm opens up for weddings and events. The meadows make for prime celebration spaces in the fall thanks to the panoramic views. Smaller events are often held in the Beans and Green Pavilion on site. You can expect all of those classic farm touches at Timber Hill like farm tables and exposed beams. Some 1,300 feet above Moultonborough town you will appropriately find Castle in the Clouds. The Arts and Crafts mansion hails from 1914. Built for millionaire shoemaker Thomas Plant, the mountaintop estate is also referred to by its less literal name, Lucknow. Built high up on the Ossipee Mountain Range, the venue allows couples to have a wedding in the sky. The New Hampshire venue delights in fall weddings thanks it indoor and outdoor options for weddings with sweeping views of the surrounding lakes and mountains. The Castle in the Clouds can host everything from intimate gatherings to large events. Several venue spaces are available from the Gardens, some 2,000 feet above Lake Winnipesaukee to the Meadows at Shannon Pond, a tented reception space. Have a favorite venue in New England that seems to shine in the fall? Share your fall find with us in the comments below.